Green Tea is high in natural antioxidants and flavonoids and plays a role in protecting cells from oxidative stress. 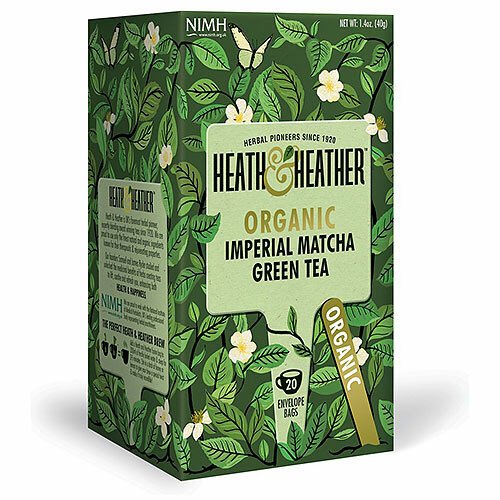 Imperial matcha is 100% natural organic green tea leaves from Japan which have been carefully ground down into powder matcha. Organic Chinese Sencha Green, Organic South India Green, Organic Japanese Matcha (3%). 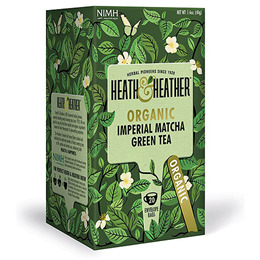 Below are reviews of Heath & Heather Organic Imperial Matcha & Green Tea - 20 Bags by bodykind customers. If you have tried this product we'd love to hear what you think so please leave a review.